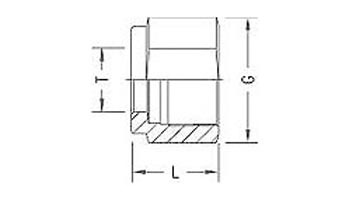 We at Natural Steels are one of the most prominent and leading suppliers, exporter, and stockholder of a wide assortment of Coupling Cap Ferrule Fitting that is produced from a high-grade raw material that is sourced from the trusted vendors of the industry. Our team of experienced engineers uses state of the art machinery and latest technology to manufacture world-class Coupling Cap Tube Fittings as per the detailed specifications of the clients. Some of its features include suitability for use in temperatures from -325° F to 1200° F.
They are available in Stainless Steel, Bass Alloy, Copper Alloy, Copper Nickel materials and can be availed in various sizes, grades, and other dimensions. Contact us today for an optimum class variety of Coupling Cap Ferrule Fittings at best market price. Natural Steels is one of the top manufacturers and suppliers of Tube Fittings from India. Our prices for Coupling Cap are very reasonable. Please click on contact us now button or click here to send your requirement. Natural Steels maintains a high-inventory of Tube Fittings and can export them at the best price for Coupling Cap. Natural Steels is a leading manufacturer, supplier, and exporter of Coupling Cap from India. 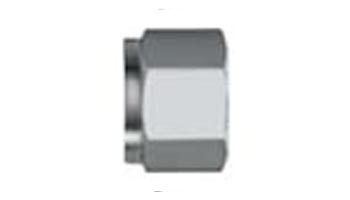 We maintain a huge inventory of Tube Fittings and you can buy Coupling Cap at the best price. Please click on Contact us now button or click here to send us your complete requirement to Buy Coupling Cap from Natural Steels. Exporting Coupling Cap to Singapore, Malaysia, Hongkong, Thailand, Indonesia, Taiwan. Other countries includes Afghanistan, Albania, Andorra, Austria, Bahrain, Bangladesh, Bhutan, Brunei, Belarus, Belgium, Bulgaria, Cambodia, China, Cyprus, Croatia, Czech Republic, Denmark, Estonia, Egypt, Finland, France, Germany, Greece, Georgia, Hungary, Iceland, Ireland, Italy, Iran, Iraq, Israel, Japan, Jordan, Kazakhstan, Kuwait, Kyrgyzstan, Lebanon, Latvia, Latin America, Liechtenstein, Lithuania, Luxembourg, Malta, Moldova, Monaco, Maldives, Mongolia, Myanmar (Burma), Nepal, North Korea, Netherlands, Norway, Oman, Poland, Portugal, Pakistan, Palestine, Philippines, Qatar, Russia, Romania, Russia, San Marino, Serbia and Montenegro, Slovakia, Slovenia, Spain, Sweden, Switzerland, Saudi Arabia, South Korea, South Africa, Sri Lanka, Syria, Tanzania, Tajikistan, Thailand, Turkey, Turkmenistan, Ukraine, United Kingdom, United Arab Emirates (UAE), Uzbekistan, Vietnam, Yemen.